Welcome to Dispatch from Disneyland blog. 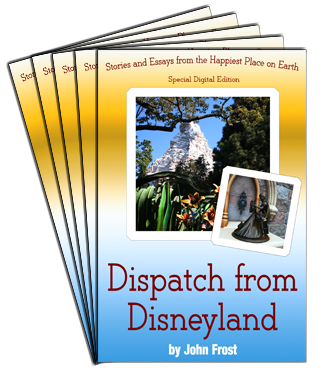 Here I will chronicle the ins and outs of publishing a book, behind the scenes details about writing about my favorite theme park on Earth – Disneyland, and general related stuff. Thank you for joining me on this journey. Don’t forget to give feedback via the links below.